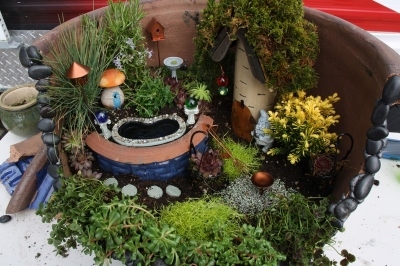 This online guide will show you how to start a fairy garden, for inside or outside. If you haven't heard of a fairy garden, you've been missing out. This is a fantastic hobby that's guaranteed to enchant both children and adults alike. It's so much fun and so cute that it became popular in a short amount of time. You might not be aware of exactly what a fairy garden is. This delightful hobby is a way to create a miniature garden of make believe. Using your imagination, you can create a world of wonder. You put in the plants that you want to have in this garden - but in this world, these plants take on a different meaning to the fairies. Instead of being just ordinary plants, they become a home to the fairy or they're places of shade just like a real life large tree is for a human. The great thing about a fairy garden is that you don't have any limitations whatsoever. It can be as large as you want it to be. It can be as small as you like. The garden can be very elaborate with what you put in it or it can be simplistic in design. 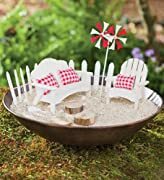 If you choose to create an outdoors garden, then what you can do is either have your fairy garden be directly in a patch of soil in your yard or you can use an outdoor container. The good news about this is that while you can certainly use a pot that has a purpose specifically for plants, you don't have to do that either. In fact, some people have used wagons, old doll beds and other containers. Any item that you like, especially one that could have some kind of childhood sentimental meaning for you or your own children, can be used to start your fairy garden. So if you're going to create it outdoors, then first you need to pick out the place or container that you're going to use to put your garden in. Make sure it's in the right spot for sunlight according to the plants you'll be using. 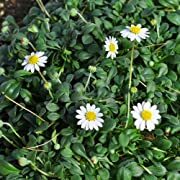 Whether you're going to make your fairy garden be an indoor or outdoor one, there is a list of items that can help your garden thrive and you can kind of just figure out which items are needed for a container and which ones aren't if you use the ground. Most people do use some kind of container though, even outdoors. The reason for this is because it gives that small make-believe world feeling that fairy gardeners look for. You'll want to get your shopping list ready and the first thing on your list should of course be a container if you don't have one at your home that you can already use for this. If you do decide to go with a container, it has to have a drainage hole. While most pots for plants to come with pre-drilled drainage holes, some of them don't and you'll have to actually open these up yourself or choose one that has them already built in. Next, you're going to need potting soil. 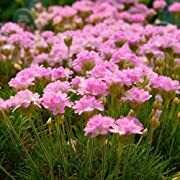 Even if you decide to put your fairy garden directly onto a patch of ground in your yard, you'll still need this because the potting soil has the right pH balance as well as nutrients needed to make whatever plants that you use grow better. When picking out the plants, you want to choose ones that remain fairly small. If you go with something like a boxwood, you might have to watch it to keep it pruned. Miniature ivy makes a lovely choice for a fairy garden. 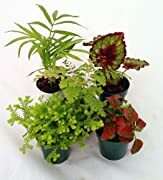 The main things to remember when looking for plants is to pick out ones that don't grow too big or it will take over your container and you want to avoid ones that are creepers. Those will cover the bottom area of your container and block out all of your fairy world decorations. You'll want to get furniture for your fairy garden and this part of decorating it is a lot of fun - not only for the kids but for the adults too. There's just something magical about these tiny little items. 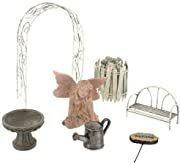 You can look for a fairy garden starter kit and those will usually have some basic furniture in those. They'll have things like tables or benches, some fencing, a birdbath and could also have a fairy included, but some of them might not, so you'll have to check. The good thing is that you can add to your decorations as you go along because you can get a ton of pieces separately. 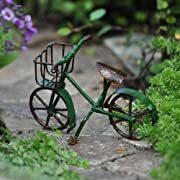 Some fairy gardens contain miniature items like bicycles and gazing globes. There are even cute little garden tools and wagons. You can also get main decoration items like little cottages or houses that are homes for your fairies. The fairy figurines are too cute! You can find little male or female fairies and you can create their whole little world in your garden. What some people have done is after they put in the soil and planted the plants they wanted, they put a little house in. Along the path to that house, they laid it with stepping stones or faux brick walkways. They even had a tiny lamppost lighting the way to the front door of the little house. You can even find whimsical things to put in your fairy garden like little pink flamingos and miniature birds' nests. If you're letting your children create the fairy garden and you want to see how well they tend to it before you put money into decorations, you can fashion decorations right out of things from nature. You just need bendable twigs and some twine and you can fashion benches or arbors. 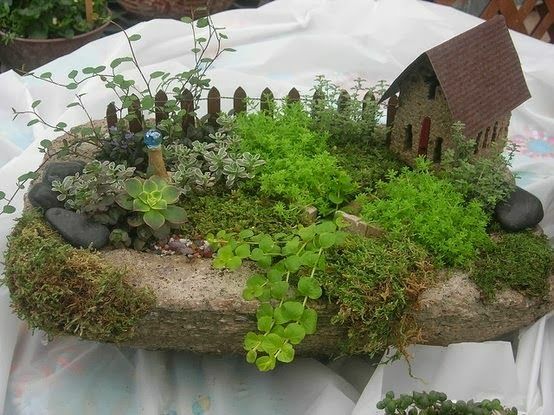 What some people also do is once they have the fairy garden made, then they put a little picket or wire fence around the entire decoration to make it look like the garden is the fairy's landscaping. So you want to keep in mind when you're picking out your container just how much you're going to want your fairy garden to grow. A word of warning though: because it's such a fun hobby and because there are so many cute decorations that you can get for it, you're going to want something that's a fairly good size or you're going to want to do several smaller ones. Whatever container you do choose to use, you're going to need to get some small rocks to line the bottom of the container because this will help the water drain out. You don't want the roots of your plants to get saturated with water and stay that way because you'll get root rot. This is a hobby that's great because it mixed the living world with the imaginary one! 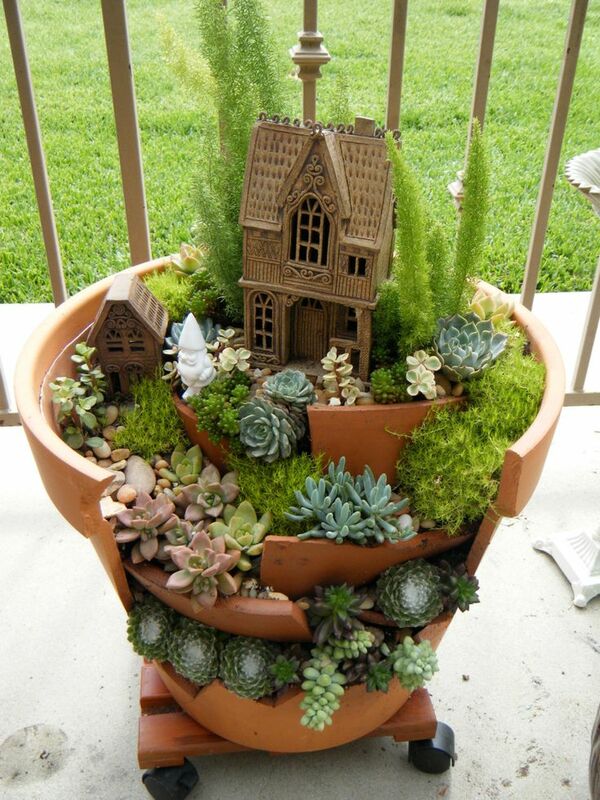 A fairy garden really can be created in your backyard or it can be done in a regular planter. However, what many hobbyists of fairy gardening do is they pick out a container that's something a fairy might really use - something cute or whimsical. The key is that there isn't a right or wrong way to do this as long as the container or area will be able to sustain the plant life. You can create a fairy garden inside of a wheelbarrow and you can make the fairy garden remain in one place. Or you can leave it so that you can move the wheelbarrow around to take advantage of the best areas of your lawn for the plants to receive sun. 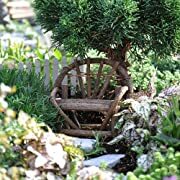 What some people have done is to create a fairy garden in a container like a wheelbarrow or a wooden barrel and place it at the bottom of a large tree. Then they create little steps leading up from the container that are tacked onto the tree. The bottom of the steps lead to the fairy garden in the container. 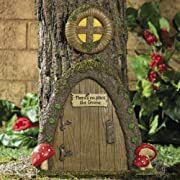 But at the top of the steps, there is a little wooden door called a wooden fairy tree trunk door or it might be under the name of a gnome door but either will work. When this is all put together, it looks like the fairy spends her time flitting from her home in the tree to tend to her lovely garden in the container down below. Children especially like this fairy garden because they imagine all of the ways the fairy flits back and forth. And kids have great ideas when it comes to container ideas, so you might want to get their input too when you're choosing one. 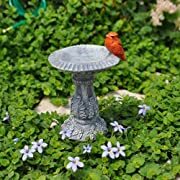 You can also use a regular sized birdbath to create a fairy garden and these are also great if you plan to create a fairy garden with a theme. For example, one theme would be a beach fairy garden. You would use blue stones to simulate the water and have brown sand for the beach. Your decorations would also be miniature beach items. A fairy garden can also be created in a basket. You would want to use a sturdy basket that could hold some weight like a bamboo basket and you'd want to line it to keep the soil from falling out if you planned to move the basket. But if you do line it, make sure that there are enough holes for the water to drain. 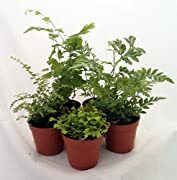 The reason for having a moveable container in a basket is because you can create these as individual fairy gardens and your kids can move them where they want them to go or you can create them and give them away as wonderful birthday or other special day gifts. There have also been some hobbyists who have used wooden dresser drawers as their fairy garden container. While this will work for awhile, wood will eventually break down because of the moisture from watering the plants. So keep that in mind if you decide to go with that option. If you definitely want to use a drawer, then you might consider using fake plants that don't require watering at all. 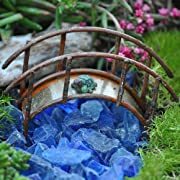 You can use tin tubs for your fairy garden or if you like the look of wood and you want your fairy garden to have a more natural look, you can choose a resin container. These can take the shape of many different items including boxes that look like fences. They're charming and perfect for a fairy landscape. Clay pots make good fairy garden containers. These can be painted on the outside to reflect the magical world they contain. But what you can also do is to use a broken or halved large clay pot. You can show different levels of the fairy living just like you see with homes built on cliffs or rocks. Old metal beds, plastic suitcases or vintage steamer trunks also make good containers and you can often find these at a fairly low cost. You might want to stroll a local flea market or garage sale and specifically look for fairy garden finds there! While you can certainly take the time to prepare your own soil for your fairy garden, this is the more time consuming way to go about it. You'll have to make sure all the levels are correct or you can cause your plants to wither and die. Your best bet is just to choose the best potting soil for container growing - even if you plan to grow your fairy garden outside your house. This way, you know that you can get started right away and if you have kids, since they're not long on patience, this is a good way to go. The kind of plants that you get for your garden is important. If you choose ones that are too large, they'll encroach too much or their roots could end up outgrowing your container. And you want to choose plants that have like needs as far as sunlight and water moisture goes. When it comes to your plants, think miniature. Some plants that grow well and are suited for fairy gardening are miniature conifers. You might also see these called dwarf conifers. You'll want to use these in the larger fairy garden containers, though. Don't forget too that you can prune your plants to such a shape that they resemble trees for a magical fairy world. Look for miniature Ellwood or Port Orford Cedar trees. These look like tiny Christmas trees and you will have to keep this one pruned back. If you have a favorite kind of tree that you like, you can also do an online search and add the word miniature or dwarf in front of the search word. If there's a miniature version of your favorite kind of tree it'll pop up. Plants that are perfect for a fairy garden include thyme, oregano and moss. 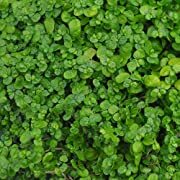 If you use moss, you'll want to go with Irish moss because this kind looks like an actual yard for your fairies. This kind of moss also produces mini-flowers so it looks adorable when it's in bloom. You can also use plants like brass buttons or baby tears to give your fairy garden an enchanted appeal. 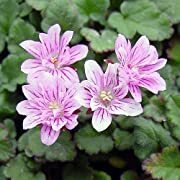 You want to be careful about choosing plants such as flowering ones that attract bees. This is the part of the fairy garden that brings the most delight to kids and adults. That's because it's fun to create the miniature world where the fairies will live and play. 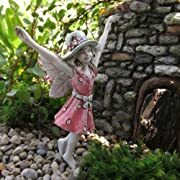 You might want to sketch out a basic layout of what you want your fairy garden design to be so that you're not just putting things in there at random. You want to start out by first choosing your fairies. What some people do is they choose a fairy to represent each member of the family. So a family of four would purchase four fairies. You can find these in packs of several or you can choose them individually. There are also some fairy sets sold that include a family pet. Next, you want to add the housing. You can have as many of these as you like and they come in all sorts of designs. You can find fairy houses built into rocks, ones for trees, large houses, tiny houses and cute little cottages. You want to have some landscaping that leads up to the front of the cottage or house. For this, you can put down tiny pebbles or have the Irish moss leading up to the house since it does look like grass. You can also create a walkway. There are fairy garden ponds that you can buy and get a little wooden bridge to fit over the pond. Kids really love this decoration. You want to get some little mushroom decorations to place all about the garden because mushrooms and fairies go hand in hand. You also don't want to forget the gazing globes. Make sure that you get some table and chairs and plenty of benches for your fairies to sit on. Some of the table and chairs look like bistro sets and some look like they were carved from wood. You can even find adorable little dishes to sit on the table like the fairies are about to sit down and enjoy their dinner outdoors. 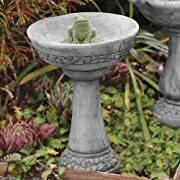 There are miniature fairy birdbaths and miniature wells that look so magical in a fairy garden. You can get bicycles and baskets for your fairy. You can get a trellis for their little plants to twine around. 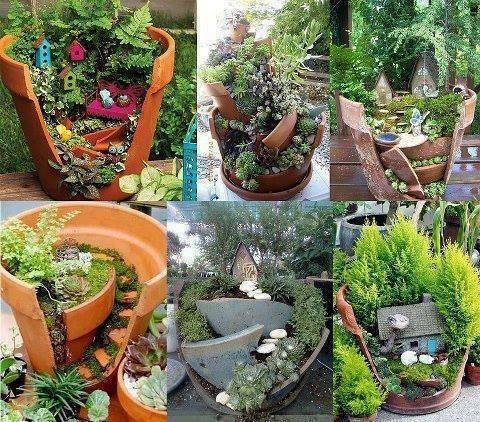 Anything that you can imagine for a real world can be found and used in your fairy garden container. This is a great hobby for the whole family to enjoy! This is a fantastic hobby that's guaranteed to enchant both children and adults alike. It's so much fun and so cute that it has become popular in a short amount of time. Back to HOME PAGE of this How to start a fairy garden section of the site.